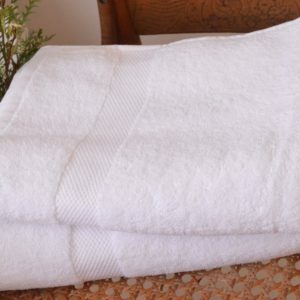 Size: 75 x 43cm Colour: White Wrap yourselve with the new Super soft, luxurious and absorbant organic cotton bath towels. Certified by GOTS(Global Organic Textile Standards). Hypo allergenic and the perfect choice for sensitive skin. Organic Cotton farming uses less water than conventional cotton. 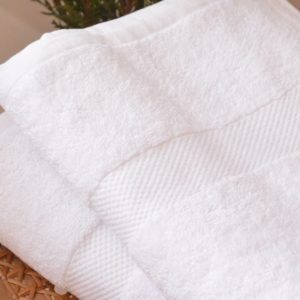 Size: 138 x 78cm Colour: White Wrap yourselve with the new Super soft, luxurious and absorbant organic cotton bath towels. Certified by GOTS(Global Organic Textile Standards). Hypo allergenic and the perfect choice for sensitive skin. Organic Cotton farming uses less water than conventional cotton.